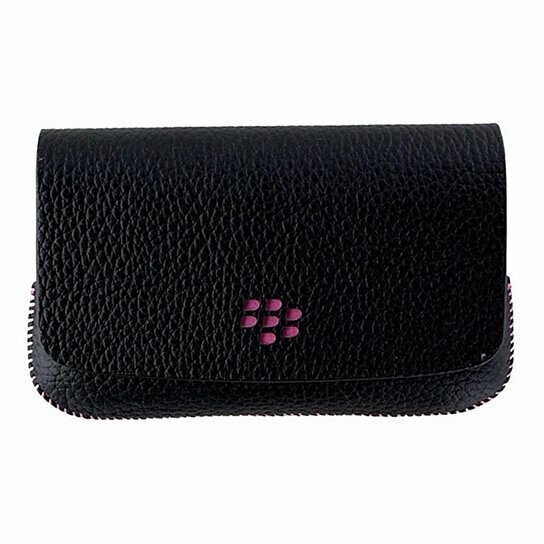 BlackBerry brand Leather Folio Pouch for the BlackBerry 9800 Series. Black leather finish with Pink trim and stitching. Wrist Strap included.